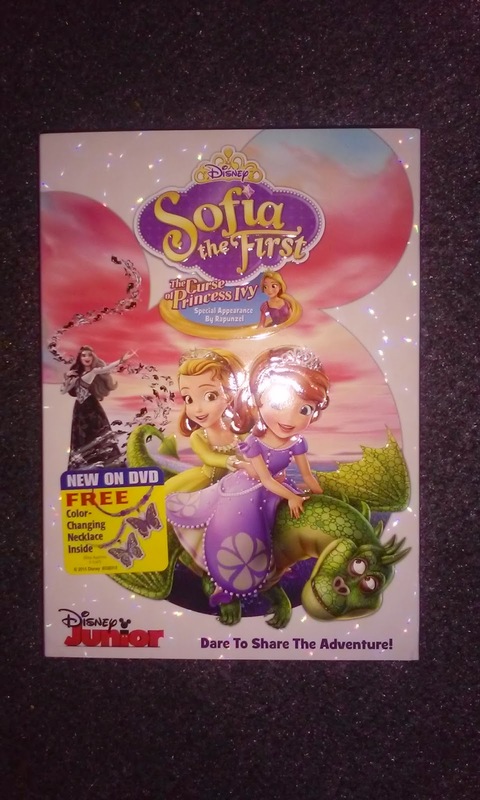 Now available in retail stores Sofia the First Curse of Princess Ivy. Sofia goes on her most thrilling adventure yet in "SOFIA THE FIRST: THE CURSE OF PRINCESS IVY," arriving on Disney DVD February 24th! This DVD is packed with three additional exciting episodes and a FREE exclusive color-changing butterfly necklace. 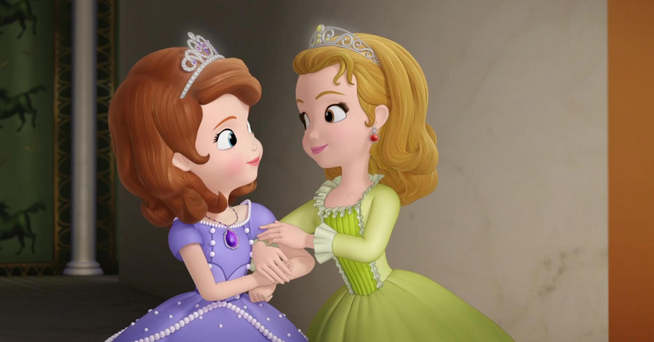 Join Sofia, Amber and Rapunzel (voiced by Mandy Moore from Disney's "Tangled") on a journey to defeat the evil Princess Ivy (voiced by Anna Camp "The Help," "Pitch Perfect"). 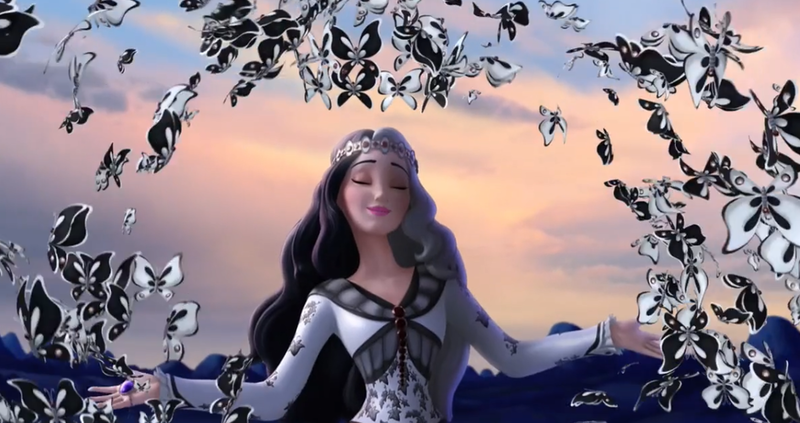 Princess Ivy has turned the whole kingdom of Enchancia black and white! It's up to Sofia and Amber to save the day. After learning that the Amulet of Avalor is magical, Amber snatches it while Sofia is sleeping. Unfortunately, she unwittingly unleashes a curse that summons evil Princess Ivy, who threatens to destroy the amulet, seize the crown and turn the entire kingdom black-and-white! Amber and Sofia soar through the skies on a flying dragon - aided by special guest Rapunzel - as they embark on a daring quest to defeat Ivy, break the curse and save Enchancia. I love that even though I no longer have a cable/satellite service my girls are still able to enjoy the newest cartoons from Disney on DVD. It's almost like a new experience for them every time I put in the DVD. They love to re-enacted scenes from the series and best yet its kid friendly so I feel safe letting them watch clean wholesome family television. Sofia the First: The Curse of Princess Ivy is now available in stores. 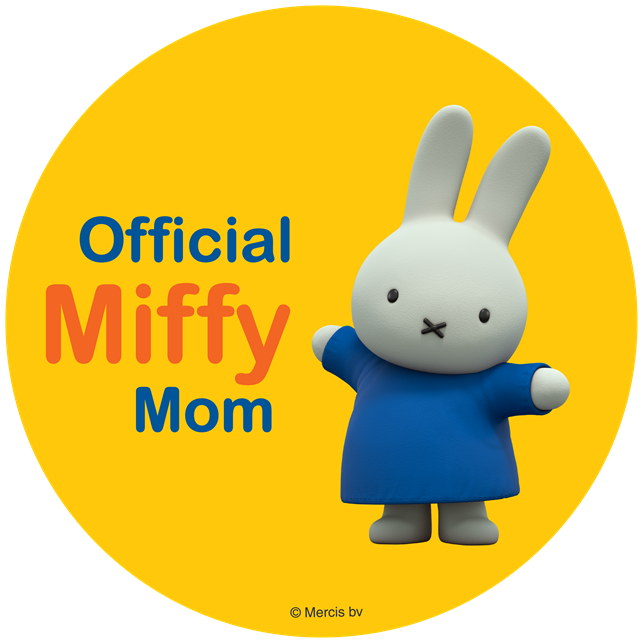 Oh yes, and hurry because the first release set comes with a cute charm necklace.